After the holidays I look for peace and quiet - I often turn to blue and green in soft hues - it just makes sense! Blue Meadows is all about the refreshing feeling in a quilt to bring home the peace and quiet I need. The blocks are very simple square in a square combined with a modified log cabin. Set the blocks on point or diagonally for drama and finish with a scallop border to softened the straight lines - just right! 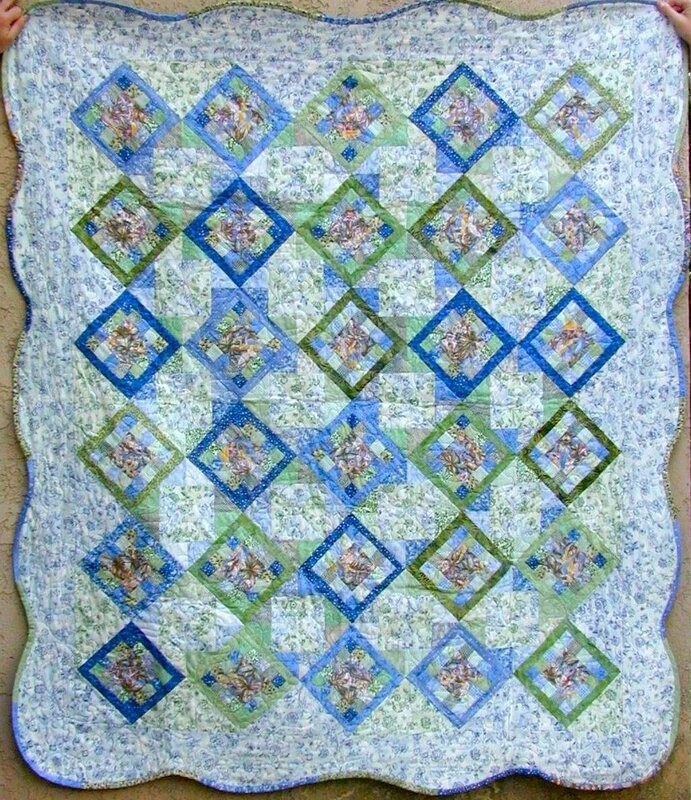 The kit I offer for this quilt has been made with soft blues in various shades and green as well - very pleasing and restful! Quilt comes with option for a regular scallop or using the Broadway Border for an inside scallop fused to the border.